Join JP Soars and the Red Hots, along with special guest Sean Carney, for an evening of music not to be missed! 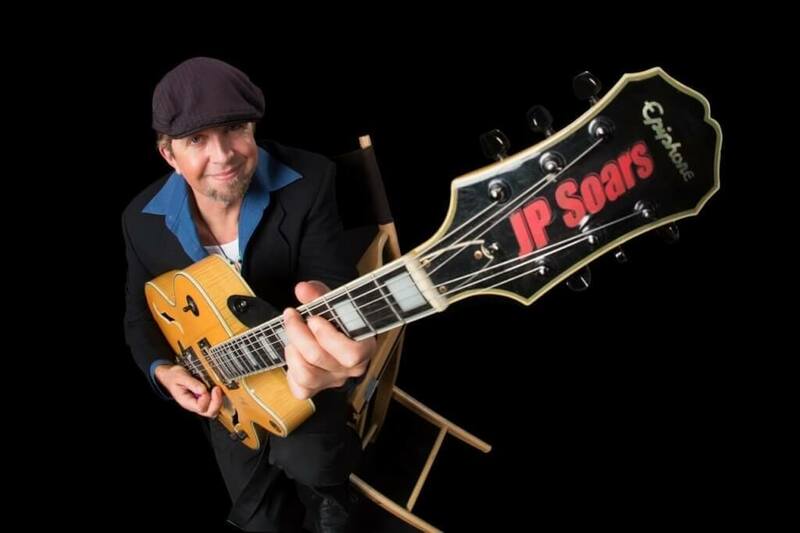 Not every blues artist can create a cohesive sound in the genre by weaving in a diversity of other influences, but guitarist and vocalist JP Soars is obviously not just any blues artist. A 2009 winner of the International Blues Challenge in Memphis, TN with his band the Red Hots (and the festival’s Albert King Award winner as best guitarist to boot), the Arkansas native toured extensively through the United States, Canada, South America and Europe with metal bands after relocating to South Florida, and is one of the few guitarists also capable of adding nuances of his long-standing, Django Reinhardt-inspired “Gypsy jazz” side project. A gritty and expressive vocalist, Soars elicits signature tones from hollow-body guitars, plus a home-made two-string cigar box guitar for his incendiary slide guitar playing. The fabulous Sean Carney is an internationally known blues guitarist and vocalist. He and his bands have won numerous awards throughout the world, and his reputation as a talent, a respecter of tradition and a humble and gracious person has become deservedly widespread. Sean is the host of the monthly “Sean Carney’s BluesFray Tuesday” held at Natalie’s on the first Tuesday of each month.